How actor Jesse Eisenberg doomed the Phoenix Suns in 1993. Back in 1993, the actor’s fan letter proved to be a fatal distraction in Game 6 of the NBA Finals. 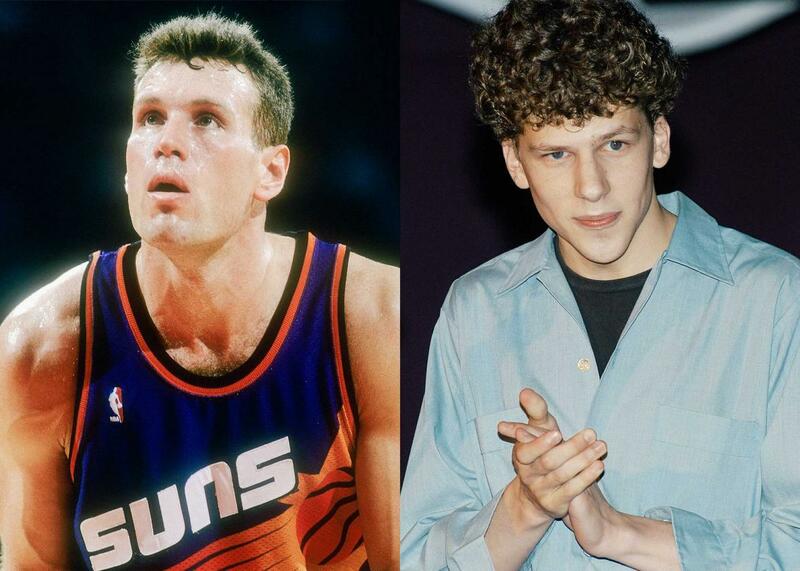 Dan Majerle, 1994, and Jesse Eisenberg, 2003. Photo illustration by Slate. Photos by Focus on Sport/Getty Images, Lawrence Lucier/Getty Images. Listen to Upon Further Review via Apple Podcasts, Stitcher, Spotify, Google Play, TuneIn, or wherever you get your podcasts. Upon Further Review, the new podcast from Slate’s Mike Pesca, based on his book of the same name, explores the greatest “what ifs” in sports history. This week, actor Jesse Eisenberg revisits a painful chapter of his youth when his beloved basketball team the Phoenix Suns lost to the Chicago Bulls in the final seconds of Game 6 of the 1993 NBA Finals. Wracked by guilt at the possibility that his fan letter to the Suns’ Dan Majerle provided a fatal distraction, he imagines an alternate reality where he never put pen to paper. NBA legends Charles Barkley and Michael Jordan also make an appearance. And there’s a bonus conversation between Mike and Jesse. Get Episode 1 of Upon Further Review, “If Nixon Was Good at Football, History Might Be Different,” here. Podcast production by Derek John and Jonathan Mitchell of The Truth podcast.